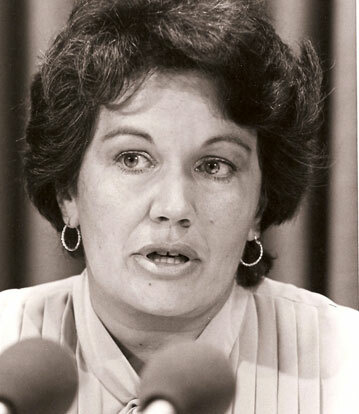 In September 1977, Monique Bégin replaced Marc Lalonde as Minister of National Health and Welfare. Almost immediately she found herself enmeshed in the growing conflict with the provinces and the medical profession over the fate of medicare. The application of wage and price controls from 1975 to 1978 placed restrictions on increases in doctors’ fees, which not only enabled provinces to control that aspect of rising expenditures but also prompted specialists to extra-bill patients or to opt out of provincial plans. Hospitals also faced budget constraints and began to press for the right to charge user fees.These challenges to national standards became the basis for the politicization of health issues during the elections of 1979 and 1980. The Progressive Conservatives, led by Joe Clark, formed a minority government in 1979 and, recognizing the gravity of the situation, appointed Mr. Justice Emmett Hall to study the evolution of medicare since the 1960s in order to determine if the basic principles were being observed, if any new ones should be added, and if the Hospital Insurance and Diagnostic Services Act and the Medical Care Act needed to be revised. When the Hall Commission’s report was completed in September 1980, it noted that extra-billing and opting out were options that should be eliminated as they threatened access to and equality of services. How could Monique Bégin, reappointed as Minister of National Health and Welfare under the new Liberal government, and her staff respond to this? 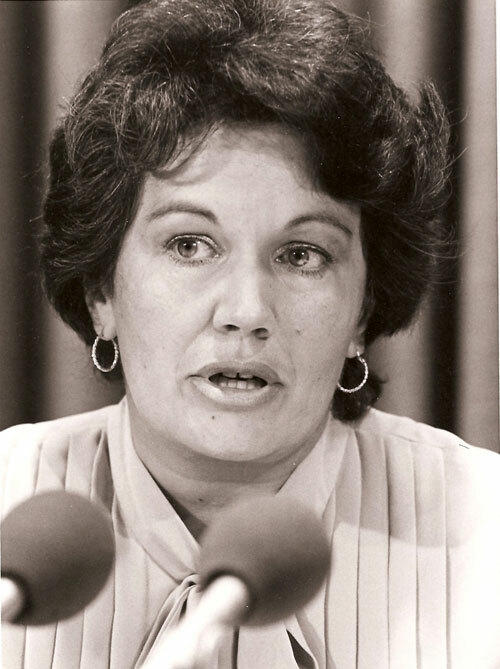 Monique Bégin, twice Minister of National Health and Welfare in Pierre Trudeau’s Cabinets, introduced the Canada Health Act in 1984 with unanimous parliamentary support. Between 1980 and 1984, the federal and provincial governments battled over the future of the Canadian federation. Medicare became part of the conflict because it was a large spending item and had become a political icon. The Friends of Medicare and various other groups appeared to challenge the provinces and the medical associations, which wanted less government involvement. Parliamentary committees spent endless hours examining reports and dealing with the economic foundation of fiscal federalism. By 1983, as the Trudeau government’s mandate was running out, Bégin and a small departmental committee began to prepare the Canada Health Act. This legislation reaffirmed the federal government’s commitment to the four initial principles of medicare and added a fifth one — accessibility — to ensure that Canadians would have access to medically necessary services. In spite of vitriolic opposition from Alberta, British Columbia, Ontario and much of the medical profession, the legislation received unanimous support in the House of Commons because, as Brian Mulroney, the new leader of the Progressive Conservatives, argued, “Medicare is a sacred trust which we will preserve” (Canada, House of Commons Debates, Hansard [December 9, 1983], p. 44). Despite this parliamentary unanimity, the impact of the Canada Health Act on the medical profession was explosive. Doctors in Ontario fought the new Liberal administration of David Peterson by holding a 25-day strike in 1986. Elsewhere, disgruntled medical practitioners either left the country or urged their provincial associations to support the Canadian Medical Association (CMA) in its legal challenge to the act. But all levels of government held firm because constant cost escalation had to be controlled. During the 1980s, the federal government also tried to build on the Lalonde Report by hosting the first International Conference on Health Promotion in 1986 and supporting the Ottawa Charter for Health Promotion — a document that advocated greater attention to the determinants of health and health promotion activities. Jake Epp, the Minister of National Health and Welfare, supported his staff in the preparation of Achieving Health for All, Canada’s response to the Declaration of Alma-Ata. This new document urged Canadians to recognize their individual and collective responsibility for the nation’s health. But health promotion campaigns had limited impact. The public became more and more concerned as both senior levels of government reduced the growth in funding for curative services, the HIV/AIDS epidemic erupted and privatization gained adherents. During the 1988 election campaign, Maude Barlow and her supporters highlighted the dangers of the Free Trade Agreement for Canada’s health care system. Were Canadians prepared to return to pre-medicare days when health care was a purchasable commodity or did they now see it as a social good that needed to be protected from market forces? Polls indicated that most viewed it as an essential component of the Canadian identity, but would that protect it from American negotiators?